If you're considering a career change, one that takes you away from the chains of your desk and the 9-to-5 to an exciting new life in the world of health and fitness, it's not uncommon for you to have worries about heading back to a life of education, learning and lessons. After all, college and further education can often be perceived as something for the younger generation, and that by the time you hit your mid-to-late twenties, you should have gained all your qualifications by now, entered the work-related arena and know exactly where you are heading. "I supervise the 'Living Longer Living Stronger' sessions and am employed five to ten hours per week. This is more hours than I originally wanted to work since I am supposed to be retired. But I am loving it, it's very rewarding to be able to encourage older people like myself to exercise and to see their progress and how much it improves their day to day life. It's also obvious that they appreciate to be instructed by a person nearer their age and I am getting some very positive feedback. I am treating my work like a hobby, I keep fit and get paid for it. How good is that?" Monika is 70, so if she can do it, so can you! 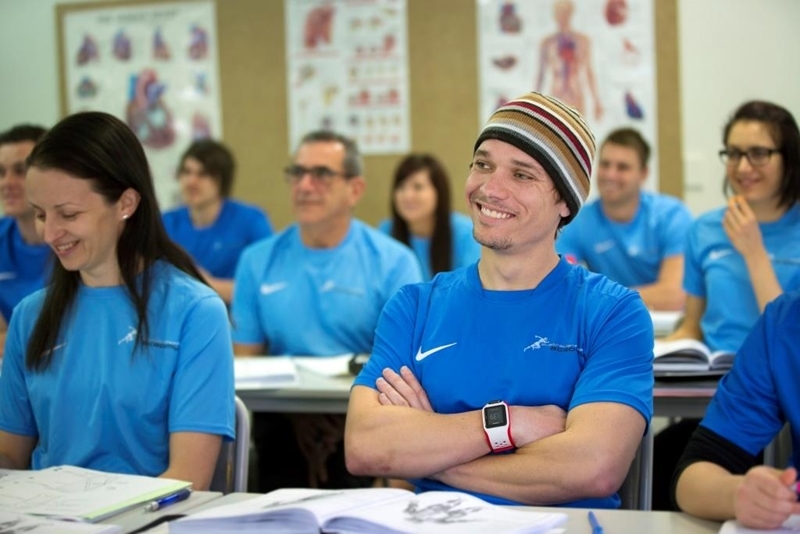 People of wildly varying ages have enrolled into AFA's broad range of courses, coming away with qualifications that will set them on their way to a career that they've always dreamed of. Though you may feel that going back to the world of learning is a daunting prospect, try to think nothing of it, as you'll be in good company on your course. What may have changed since your school days, though, is your approach to learning. When you head to AFA for your first week, or get your head into some online information, you may not realise that you have slipped into a different style of learning than what you previously practised, but that's natural – there is no one correct method for effective learning. Let's take a look one popular theory which covers four separate ways humans learn information, collectively known as the 'VARK modality.' The acronym itself stands for Visual, Aural, Read/Write, and Kin aesthetic, and each of them represent a different approach to soaking in knowledge. What's your style of learning? The visual learner is at home analysing diagrams, charts, graphs and other pictorial information. When such information is presented in words, those that learn visually have a harder time interpreting the meanings and relevance of the material. Therefore, when spider diagrams or flow charts are utilised to illustrate a certain point, the visual learner is at his or her most comfortable. The spoken word can be a powerful learning tool. If you fit into the aural category, it's during your time in the class room or listening online to lectures that you'll find most effective. However, aural learning isn't simply limited to listening to the teacher. You'll also take in more knowledge during group talks, discussing an upcoming essay and web-chatting tutors. The aural learner even benefits from reading emails and texts, as they are often written in an informal manner replete with slang and colloquialisms, as if they are being spoken. Much as the visual learner interprets charts and diagrams, so the reader absorbs information from the written word. This person is most at home digesting essays, case studies and textbooks, taking in reams of information as they go. Though the reader can identify with pie charts and spider diagrams, they'd much rather get right down into the nitty-gritty of the nuances in the topic, and always want to find out more. The kin aesthetic learner thrives on practical knowledge. This means that he or she enjoys the hands-on experience, such as the work placement element of a course. Actual demonstrations of procedures work extremely well with the kin aesthetic learner, as well as simulations and practical videos of the subject matter being discussed. Which learning style, or styles, do you fall into? At AFA our courses are developed and delivered according to different learning styles and Student Support is always available for any help needed!